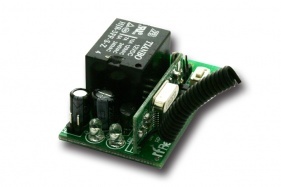 Single Channel Relay Receiver, Learning Code type, 4 control modes are built in the same unit. The matching transmitter: All RFRemotech OOK transmitters/remotes are compatible with the receiver. We accept payment via PayPal, Money Transfer like Western union & MoneyGram and Bank Transfer etc.. Our PayPal account is paypal@rfremotech.com. Contact us for other detailed information. Comparing with most of other Chinese companies, RFRemotech is entirely different.The owner of the company thinks the business is given by God, and the honesty and integrity are very important, for he is a convinced Christian. Your payment is absolutely safe. Don't worry.